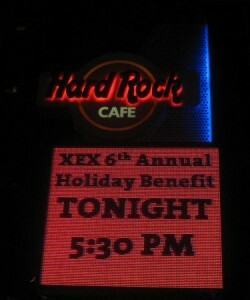 We would like to thank everyone for a great party at the Hard Rock Cafe on December 16. You helped us provide the Greater Chicago Food Depository and Feeding America with over $12,000 or 84,000 meals! Keep an eye out for more photos and a highlight video from the party! Have any photos or videos you’d like to share? Email them to us at info@xexchicago.com.